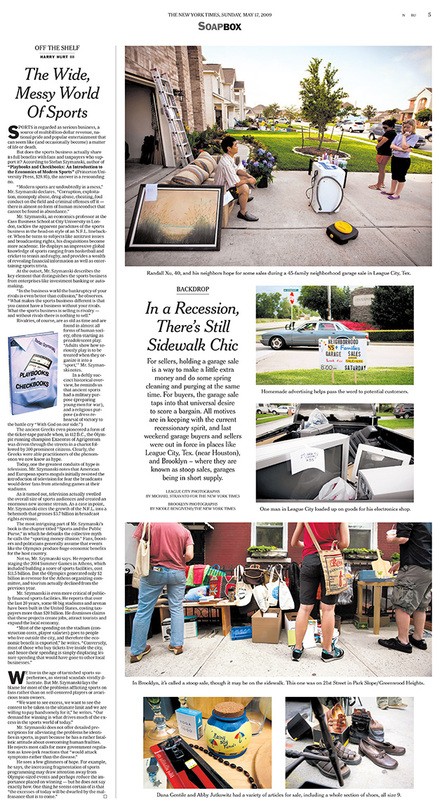 Photographers Michael Stravato in Houston, Texas and Nicole Bengiveno in New York City worked together on a photo essay at how garage sales and stoop sales were doing a brisk business during the recession of 2009. It appeared as the monthly "Back Drop" photo essay column in the Sunday New York Times Business section. Story ideas were welcomed by photographers that chose to look at the business and finance angles of their subject.